A beautiful design from ancient Byzantium. 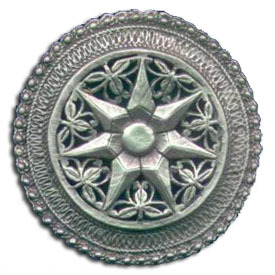 This brooch is cast from lead free pewter and measures approximately 2.25"" in diameter. The back features a solid brass joint and catch pin to ensure the brooch will stay in position.